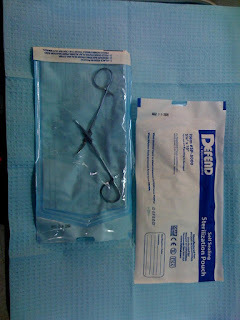 Notice that everything is either disposable, or is a hard surface that can be disinfected. There are no carpets, and no unfinished or unsealed wood. 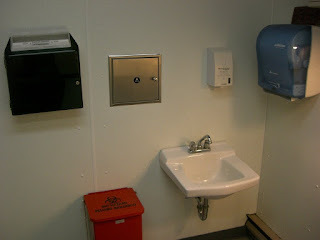 Notice the wall mounted sharps container on the left, biohazard trash and pass through area for used tools, the sink (which is operated by foot pedals) and the hands free soap and paper towel dispenser. Can either come out of sealed packages like these (notice the date stamp to ensure freshness). 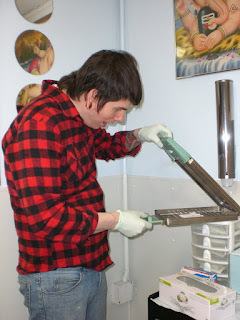 Or out of a cassette fresh from a cassette sterilizer like a Stat IM, shown here. (and yes that’s me, skinnier and with short hair. Same shirt, though!). 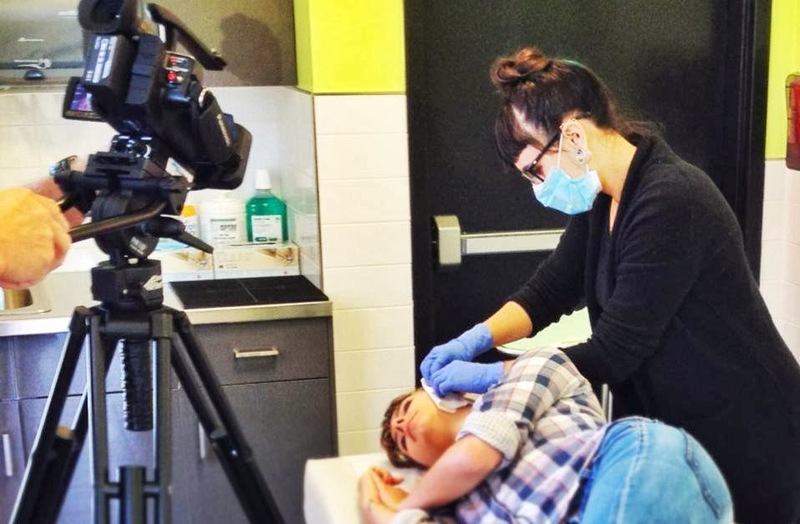 A lot of folks don’t want to spend too much money to get pierced. What ends up happening is they go to inexperienced piercers who use bad jewelry. This young lady above went to a cheap shop. And this young lady went to a shop where she had to spend a lot more money. 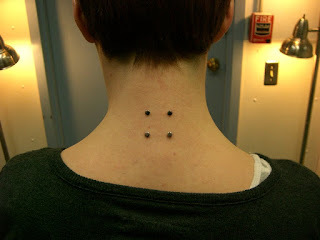 In return, she got top quality jewelry, expert placement, and a healed piercing. Not to mention the fact that she doesn’t have the serious scar our bargain shopper does! An autoclave is a machine that changes distilled water into hot water vapor. The pressure inside the chamber gets more and more intense until the water vapor penetrates all of the packages inside it. The water vapor then kills anything that could possibly be alive (whether it’s a fungus, a virus, or a bacterium). Sterile means totally devoid of life. 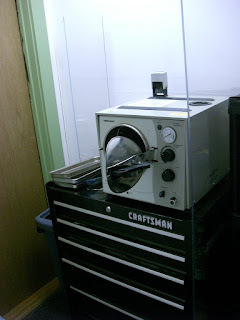 You can only sterilize tools in a piercing studio in an autoclave! 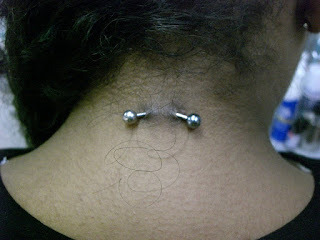 There are lots of bad pieces of body jewelry out there. Unfortunately, this is another example of “you get what you pay for”. If you buy jewelry from the mall, or a store that doesn’t actually perform body piercing, you are most likely getting very poorly made jewelry. An easy way to tell good from bad is threading. Threading refers to the “screw” on a barbell, navel curve, or circular barbell. External threading is cheap. The threads can tear your piercing when the jewelry is put in, and the balls tend not to fit very well. Internal threading is expensive. 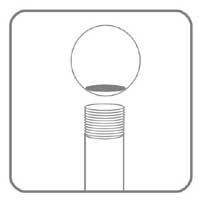 The shaft is smooth so it doesn’t irritate the channel of your piercing. 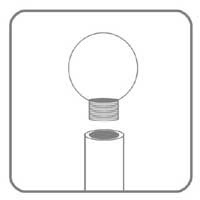 Also, the material that internally threaded jewelry is made of is usually superior to that of externally threaded jewelry.